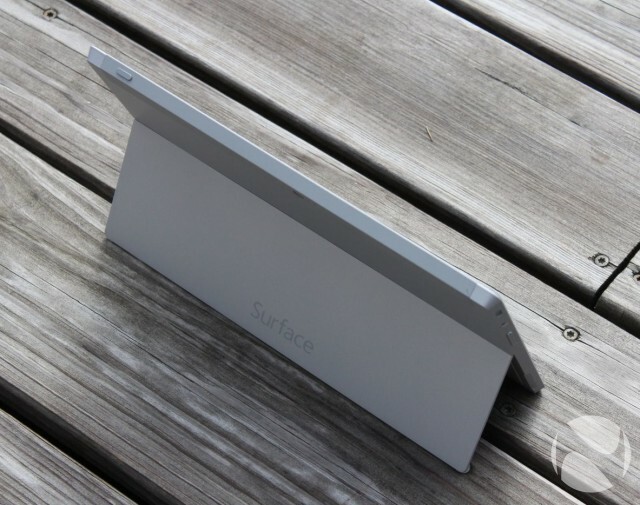 The Surface 2 represents a fresh start for Microsoft’s tablet line. Sure, you could easily say that it’s the second installment of the Surface RT (now simply called Surface ), but with a new marketing campaign, a new name (Microsoft has dropped the RT branding entirely), beefed up internals and an updated operating system, Surface 2 is almost entirely new in every way, shape and form. What Microsoft has done with Surface 2 is a lot like what it did with Windows 8.1 : introduced a refined product that has matured in its capabilities. But a product is only as good as its marketing campaign, and Microsoft has already started to show off a cleaner, more focused, campaign toeducate the consumer . 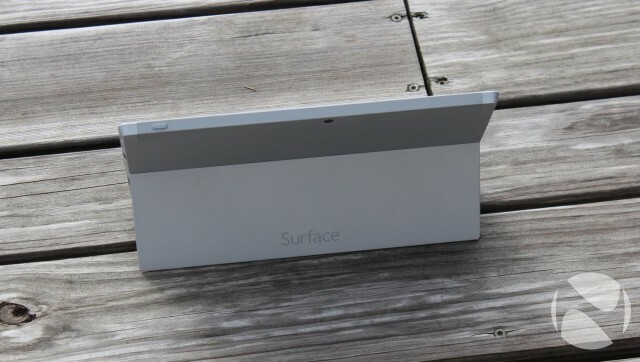 Not to mention that the back of the device now says “Surface” instead of showing the Windows logo. 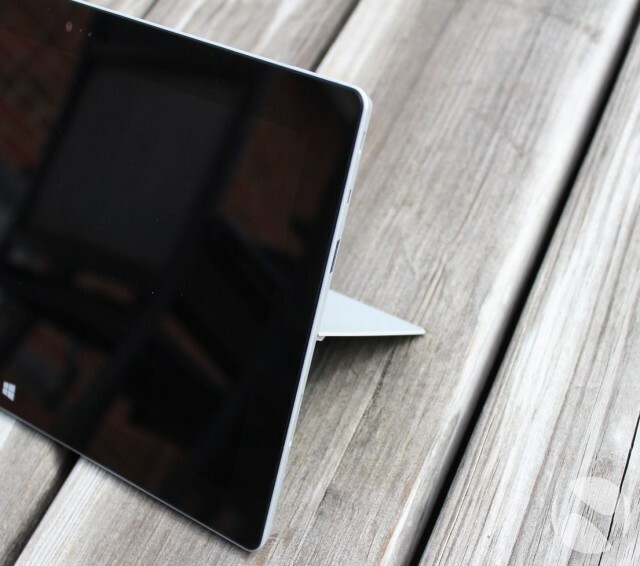 On paper, the specs do offer up a tantalizing array of options for a tablet; the price, well, that’s up to the consumer to decide if the Surface 2 is priced correctly. When compared to the iPad, the Surface 2 pricing is right on the mark, but last time around consumers did not agree – only time will tell if round two is any different. The design of the Surface 2 continues with the VaporMG casing, but the new tablet differs from the original Surface in terms of color, as Microsoft gave it a silver casing it calls Magnesium. It’s on the lighter side of the sort of silver spectrum, bordering slightly on a silver-white color, and it looks quite good.The finish is smooth and the build construction, as with the previous generation of the Surface, feels fantastic. It’s clear that Microsoft knows how to build hardware as the previous generation of Surfaces, at least publicly, had a low rate of failure and we have the same expectations for the second generation of devices. Applying pressure to opposing corners doesn’t cause the case to flex or even squeak, an indication of the solid design of the device. The weight of the tablet (1.49 pounds) puts it into the featherweight class, as it really is thin and light.While adding a touch/type cover adds a smidgen of weight and bulk, it’s well worth the expense as it will cover the screen and doesn’t impact portability. The buttons on the side and the top of the device appear to have been improved over the original Surface as well. Now the buttons have a firm engagement action and offer up a satisfying click, indicating a properly engaged button. The volume rocker on the side also feels a bit textured too, which is a nice addition. While the exterior looks nearly identical to the Surface RT, one of the major improvements is the updated hinge design that now features two stopping points. This updated hinge design is a big improvement over the first Surface and is almost enough reason alone to make the upgrade. With multiple stop points, using the devices at different elevations becomes easier as you can adjust the display depending on your seat height. The updated kickstand, at both positions, feels strong and more than capable of supporting your device with touch interaction. 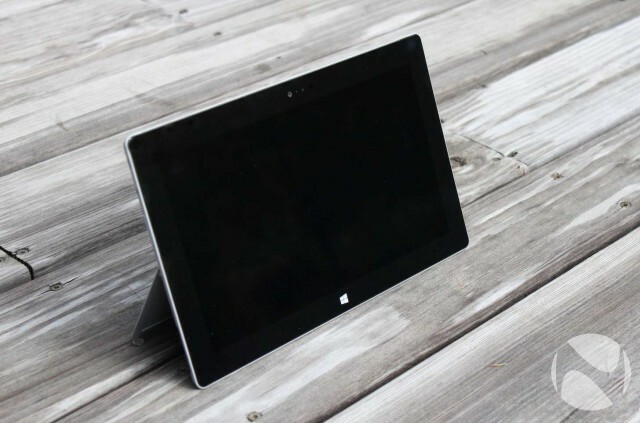 The Surface 2 got a much-needed resolution boost to 1080p, and the display looks fantastic. While we can always ask for a higher resolution screen and still would love to see this form factor get pushed even higher in the in DPI department, Microsoft made significant improvements in this department. 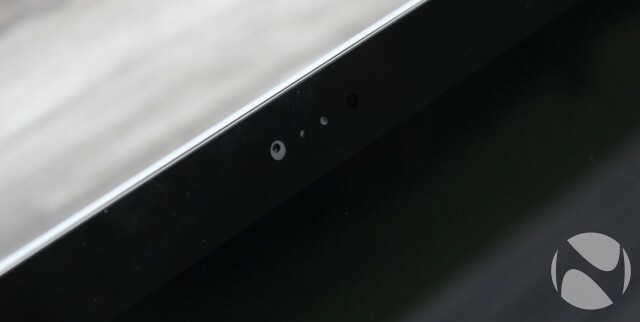 The Start button, as seen in the Surface 2 (left) and original Surface (right). Off-angle viewing of the Surface 2 is quite good and will present no issue to sharing your screen with those around you. Touch sensitivity is, again, on par with our expectations, and the Surface 2 picked gestures up accurately and consistently. With deep blacks and vibrant colors, the display of the Surface 2 is one that you will likely love even if it isn’t the highest resolution display on the block. Using the tablet in direct sunlight is still not a great experience and it seems that no one has really mastered this trait. The Surface 2 is usable under these conditions, but this is a weakness across the industry and not limited to the Surface 2. Some screens fare better than others and the Surface 2 does OK in this department. Nothing to get excited about here, but if you plan on working exclusively in direct sunlight, well, your tablet options are quite limited to begin with. The updated Tegra 4 processor certainly has its advantages over the Tegra 3, and the performance factor does show a modest boost over the previous generation of devices. The Tegra 4 hums along nicely inside the Surface 2 and does not heat up the exterior case, as with on many laptops (and, occasionally, the original Surface).The Surface 2 is a fanless product, and the Tegra 4 provides enough horsepower to give great performance but not enough to cook your fingertips. A short clip showing performance boost over the original Surface. Games, apps, and Office all ran without hesitation, and if your are coming from the original Surface, you will notice a modest boost in cold restarts. In daily operations, however, you will likely not notice that this is an ARM-based machine as opposed to an x86 one, which is a good thing. The machine runs Windows RT 8.1 quite well and is certainly usable as a daily machine. While the performance boost is not going to break any benchmark records, it’s a notable spec bump that keeps the Surface 2 competitive within its respective market segment. When you shove stereo speakers into a small cavity, the results are rarely great.With the Surface 2, the statement holds true as the speakers simply allow you to listen to a video or music, but do not expect anything remarkable to come out of the tiny speakers. This is not a major surprise that the speakers on the Surface 2 don’t blow our expectations out of the water; in fact, they are right in line with our expectations, as they are comparable to mid-range laptop and most tablet speakers. They get the job done but are weak in the lows and mids, and the highs simply suffice. For watching a few fail videos on YouTube, they work well, but get headphones if you want to watch your favorite movies on Netflix. If the Surface was good in terms of battery life, the Surface 2 is exceptional, and this is one the high points of the tablet. Yes, all the other additional features are great, but if you have that nagging thought of “when do I need to charge next?” always running rampant in your head, then nothing else matters. Fortunately, the Surface 2 did remarkably well here, as we were able to get more than 11 hours use out of the tablet before we had to think about plugging back in. That’s 11 hours of real-world usage that included watching YouTube, emailing, Twitter interactions, and a lot of web browsing. 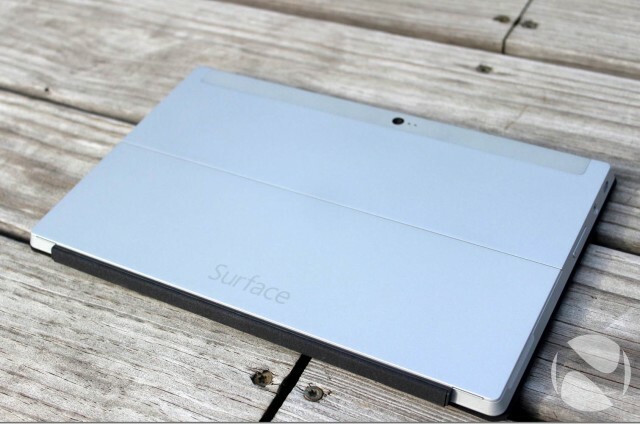 For a tablet – or even a laptop – the Surface 2 battery life is fantastic and should delight consumers with its performance. Cameras on a tablet are a bit of a odd feature; front-facing cameras make sense, but rear-facing cameras are a bit different. If you have a smartphone, there is a very high probability that the camera on your phone will take much better pictures than the one on the Surface 2. 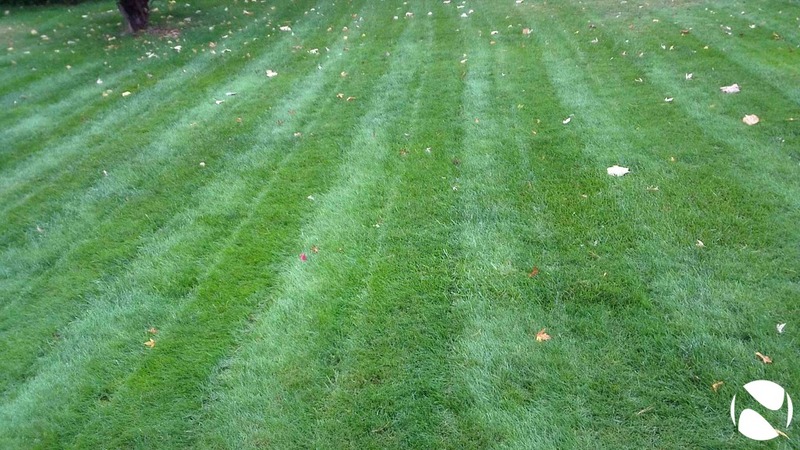 Additionally, using your phone to take a picture is a significantly easier process than holding up a 10-inch tablet. With the above being said, the front-facing camera works well for its intended uses. Skype video chats worked effortlessly, and the other parties had no issues seeing my lovely face during our conversations. The rear camera gets the job done. 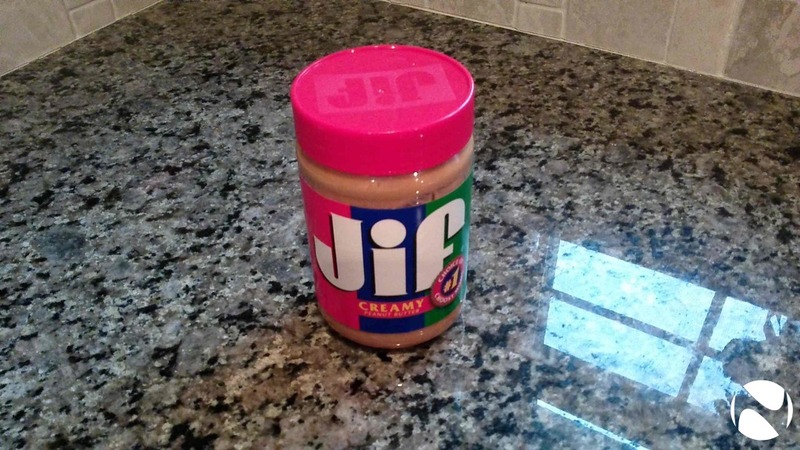 Images tend to be cool, and the shutter speed is only sufficient enough to make it recommended for using in a pinch. I wouldn’t replace my smartphone camera with it, given the choice, and would only use the Surface 2 camera in a last-ditch scenario. Just know that the camera works, but it’s more of a “me-too” feature that will rarely be used by most consumers. Microsoft’s Touch and Type covers have both been updated as well alongside the new Surface 2 and Surface Pro 2. The Touch covers are essentially giant trackpads at this point, and both the Touch and Type 2 covers now have backlighting and are much snappier and more responsive to user input. The updates to the Touch Cover 2 are quite interesting as it offers up a new way to interact with the Surface 2. Seeing as it is essentially, as I mentioned, a giant trackpad because of the inclusion of a sensor array instead of pressure sensitive sensors in the previous generation, you can now navigate using the Touch Cover by swiping your finger across it. While this may not seem like a big deal at first, once you get used to using the entire Touch cover as a navigation tool, you wish it were available on the Type Cover 2 as well. Like the first edition of the Touch Cover, the typing experience is still not great for daily use. Even though the gesture support is great, I would still only recommend the Touch Cover to those who primarily want to protect their Surface tablets, only occasionally using it for typing. The lack of feedback from the Touch Cover makes it feel like you are typing on felt covered cardboard and it’s hard to firmly convince yourself that you're hitting the correct keys. 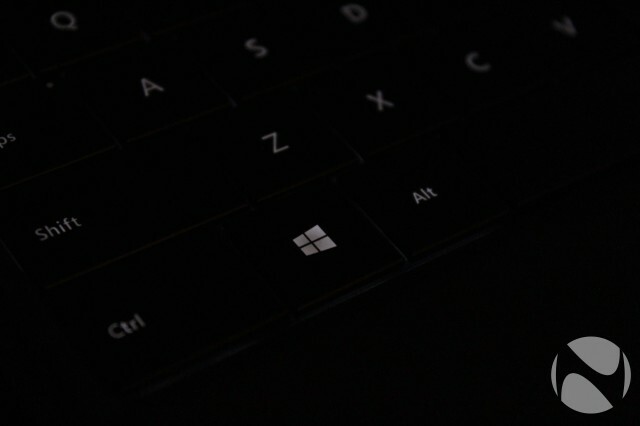 Now, if you are persistent, you can get quite good at using the Touch Cover – but it takes a bit of practice, and you should try it out at a Microsoft Store or Best Buy before making a purchase. My keyboard preference is still for the Type Cover 2. Even though you lose the gesture features, the improved typing experience makes up for this drawback.While it’s still not a perfect replacement for a true keyboard, it is quite usable on a daily basis as long as you are on a hard surface. We have yet to get our hands on the new Power Cover, but when we do, we will be sure to update this post with our feedback on that accessory as well. 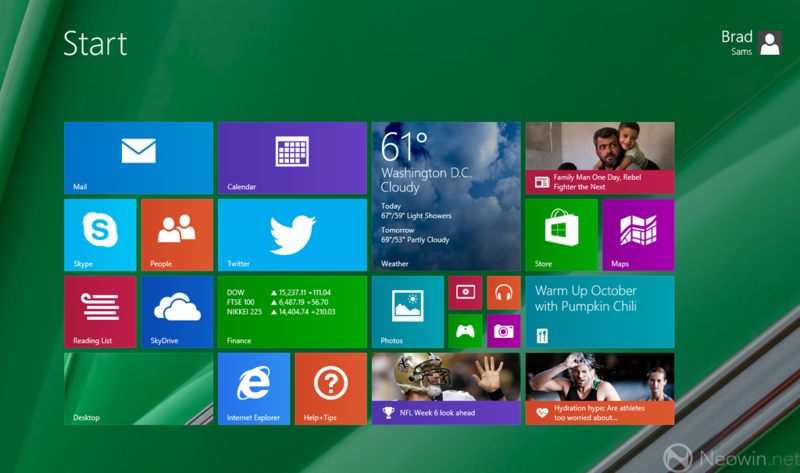 Windows RT 8.1 is the brother of Windows 8.1 (read our review here ), and because of that you should make sure to read the full Windows 8.1 review, as almost all of the updates (everything that applies to the Start screen, snapping, Start button) also apply to Windows RT 8.1. When you add in all the advantages of RT 8.1 to the Surface 2 and ignore the other upgrades, it results in a serious net gain for the device. Windows RT 8.1 feels great on the Surface 2, and the performance aspect gave smooth transitions and opened apps quickly. There is still a bit of lag opening up Office applications compared to traditional laptop/desktop, but it is minimal and most consumers won’t notice the slower opening or even care that it happens – it really is a small blip on the radar. One issue we do have with the software is Microsoft's inclusion of the desktop.Yes, we know it is a familiar location for many Windows users but for the novice consumer, the desktop makes it appear that legacy apps will run on the Surface 2. While we know this is not the case, Microsoft could easily remove the desktop environment and have the Office apps launch from the Start environment. In daily use, the Surface 2 could be used as a laptop replacement provided you don’t need any other desktop applications beyond Office, and you can overcome other usability issues (noted below). The Windows Store is filling out quickly, and with a desktop-class web browsers included, the Surface 2 really is a great machine. But, the device is not perfect, and there are a few usability issues. Using the Surface 2 on your lap is still not a great experience. The additional hinge points do help with usability on hard surfaces but no matter how you place it on your legs while sitting in a chair, it still lacks confidence. What happens is the connection point between a Touch/Type Cover pivots upward when you are typing, tipping the screen back slightly, and this makes the device still feel unstable. The Surface 2 is slightly better in this area than the Surface RT, but a traditional laptop fills this scenario much better. Additionally, lying in bed and trying to use a 16:9 tablet is not much fun either – it works, but a 4:3 setup here is still desired as turning Surface tablets vertically is a bit odd. When you do hold the tablet vertically in bed, the contents on the screen are a bit squished, and running any sort of app in a snapped mode is out of the question in terms of usability. Many will likely argue that turning it horizontally works just fine, and that’s great, but for me, 16:9 should be held horizontally, all the time. Every tablet on the market has some drawbacks and these two items noted above are still some of the bigger issues with the Surface 2. Are they issues for you? That's a personal choice, but you should be aware of them before you slide the credit card at the checkout counter. Even with those two shortcomings, the Surface 2 is a great jump up from the original Surface, especially with Windows RT 8.1. There is a lot to love about the Surface 2, but the issues from the first iteration of the Surface RT are still unresolved. Using the tablet on your lap has the same lackluster experience as before and the price is still high when you look at other Windows tablets that offer proper Windows 8.1. But, there have been significant strides too, as Windows RT 8.1 is a much better OS than what initially shipped with the first Surface, and the screen resolution increase is extremely welcome. It’s clear that Microsoft can build great hardware, the fit and finish of the Surface 2 is impeccable, and for the right audience, the Surface 2 is a perfect blend of laptop and tablet. The ultimate underlying issue here is who is the target market? Sure, at $449, you could say it is targeting the tablet market as it competes nicely with the iPad at that price point. But then again, there are cheaper Windows 8.1 tablets with Bay Trail on the horizon. So then if you say it’s competing in the laptop market, well, you need to add at least $79.99 (realistically $129.99 if you want a decent keyboard) to the price point which then puts you into the cheap laptop category which, admittedly, does many things better than the Surface does in terms of on-the-go usability. 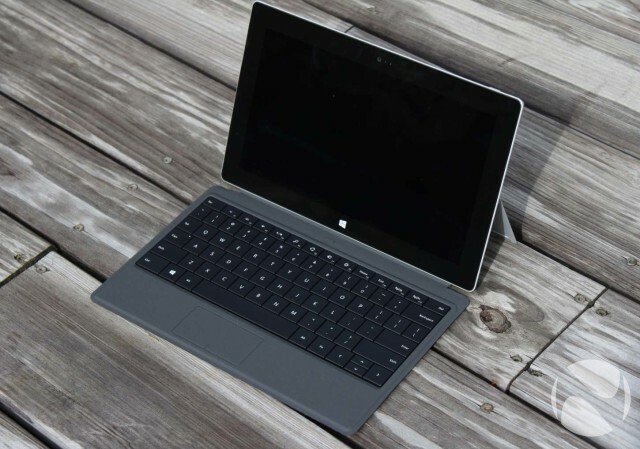 The question comes down to, "Is the Surface 2 is a tablet or a laptop?" The answer to that question is that it’s a bit of both, and unfortunately the Surface 2 masters neither category. With that being said, the Surface 2 is still a lot of fun to use and has its purposes, and for that we love the Surface 2. If you can overcome its limitations, you’ll be delighted with the user experience.